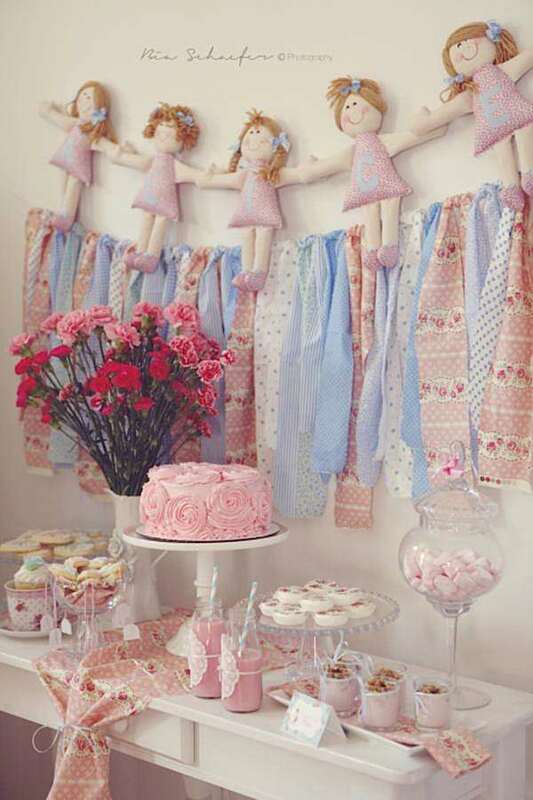 This lovely SHABBY CHIC TEA PARTY THEMED BABY SHOWER was submitted by Andressa Hara of Twinkle Twinkle Little Party. 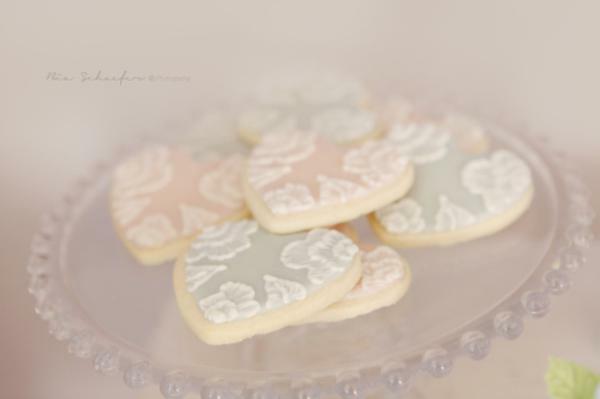 I just love the soft colors and delicate decorations! 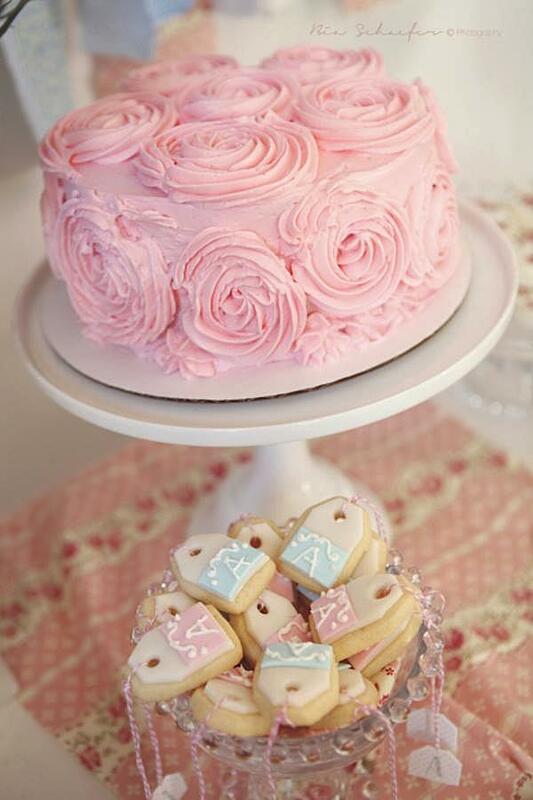 What a fun theme for a baby shower! 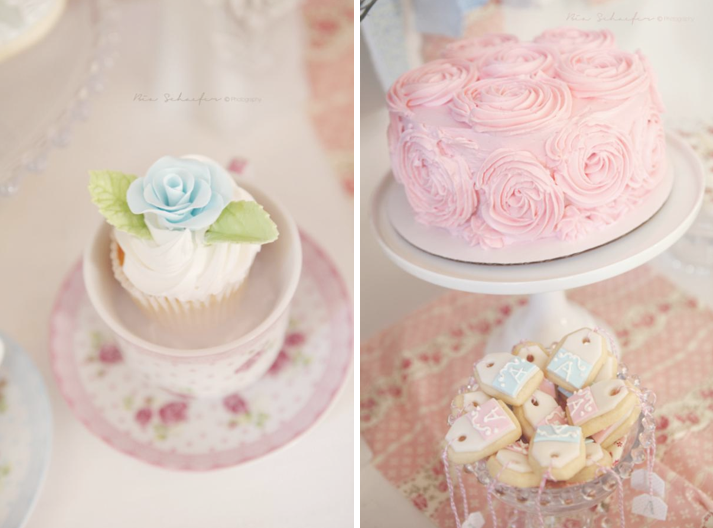 Look at all the lace & various floral prints….everything is so darling. 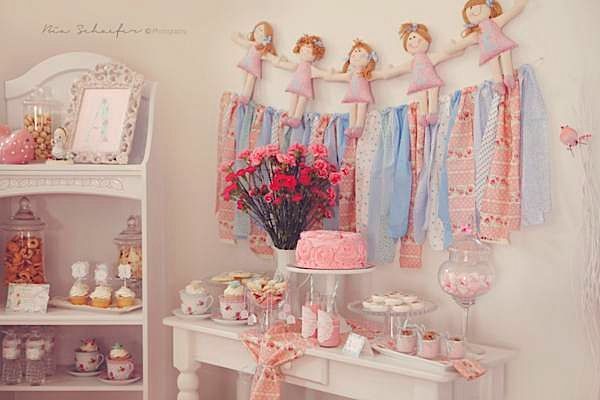 Andressa said- “This was a super cute Shabby Chic Baby Shower I styled a week ago for my friend photographer, Bianca Schaefer to welcome her baby girl, Alice. When Bianca invited me to take care of the details of this special event, I was thrilled because I am big fan of Biancas work, so I knew she would capture all the details beautifully. 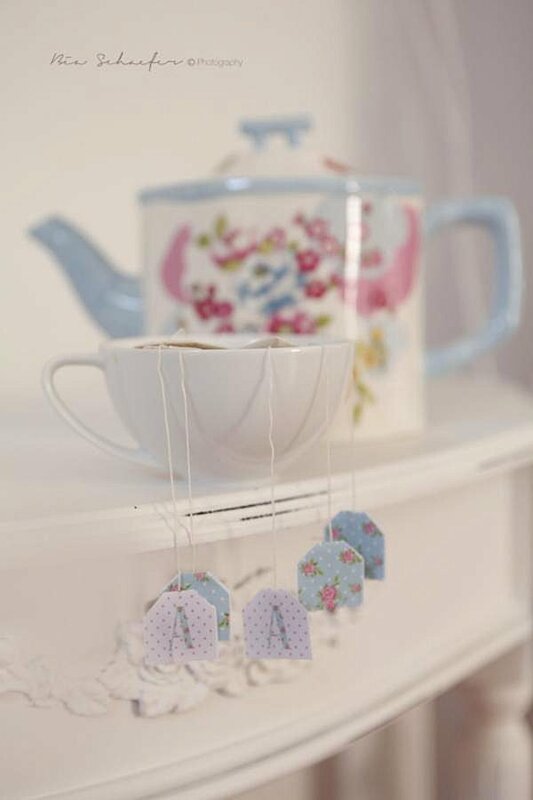 Bianca was looking for something shabby chic, tea party, girly and simple. 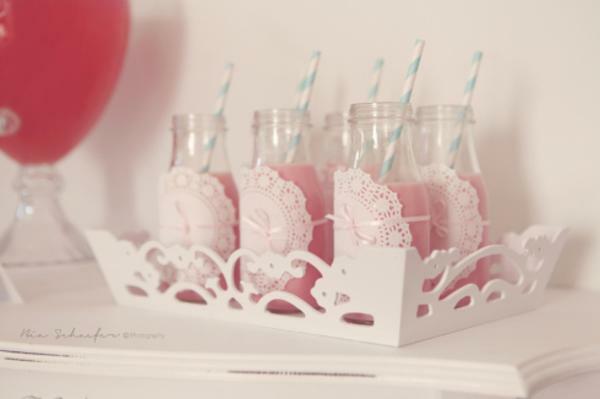 She knew exactly what she had in mind, so it was easy to collect super cute ideas to inspire her. It was a bit challenging to coordinate everything as we live in different cities and that makes a such big difference. For that reason, Bianca had a lot of homework to do, but I tried to communicate with her daily to make sure we were on the same page. 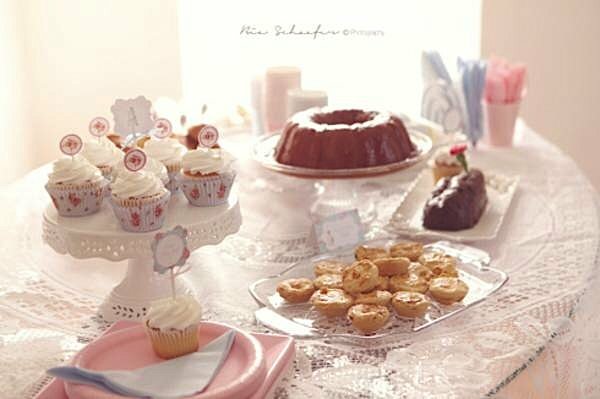 The simple dessert table consisted of a fabulous Rosette cake, decorated cookies, strawberry parfaits, vanilla cupcakes which were neatly placed in tea cups, and chocolate covered oreos. 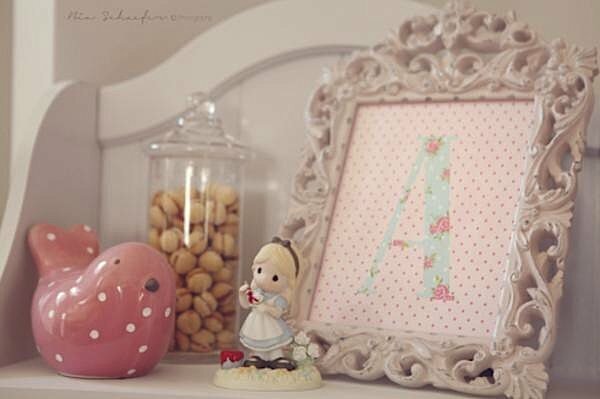 Bianca wanted to see lots of elements from Baby Alices nursery, so she asked me to incorporate the rag dolls which spell out ALICE (too cute), a pink frame I designed a simple sign with an A using a shabby chic pattern, a little bird and little Alice (from Alice in Wonderland). I thought Biancas ideas were so sweet. It absolutely turned the decor a lot more personal. 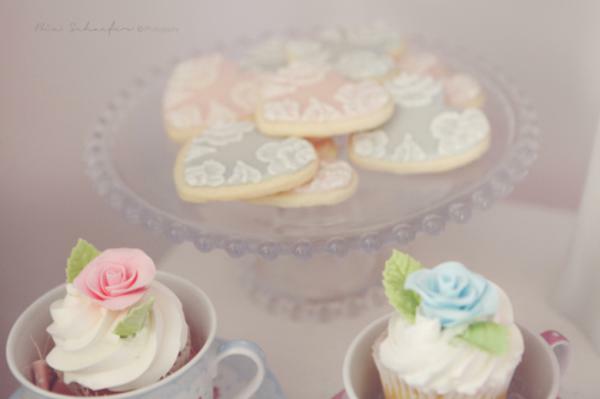 Love the color palette and the little tag cookies! Beautiful! 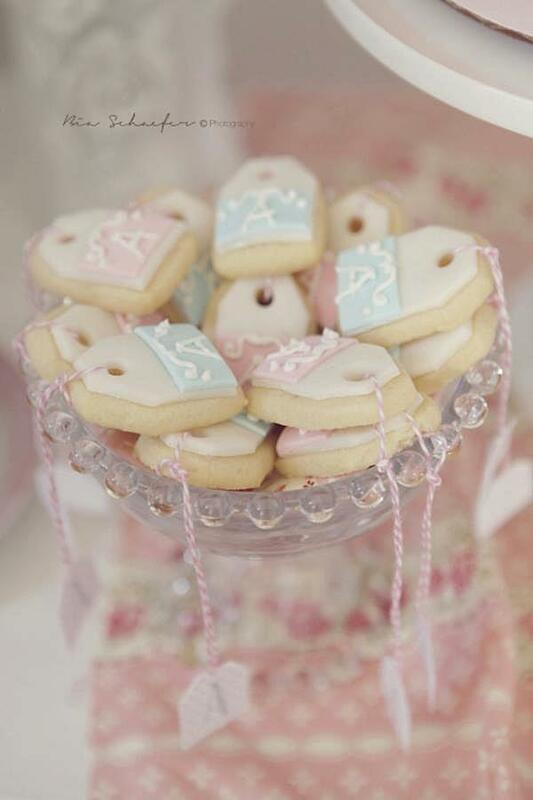 Planning your own baby shower is tacky, no matter how cute the cookies are. 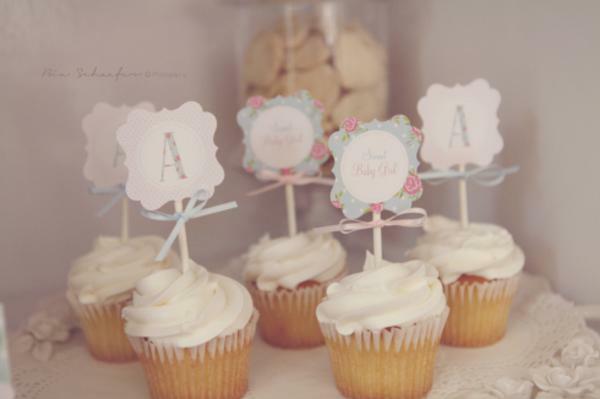 Wonderful party! 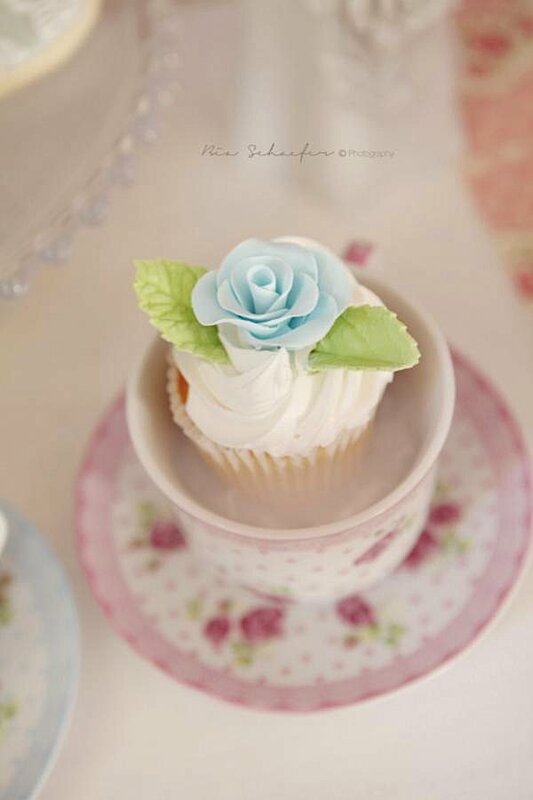 Delicate and fancy. Well done! 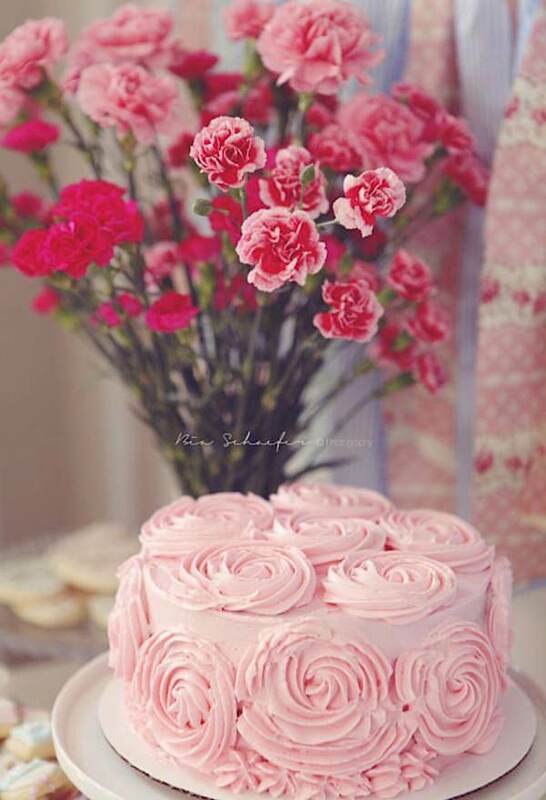 I just want to say I am just newbie to weblog and honestly savored your page. More than likely I’m going to bookmark your site . You actually have very good writings. Thanks for sharing your web-site. 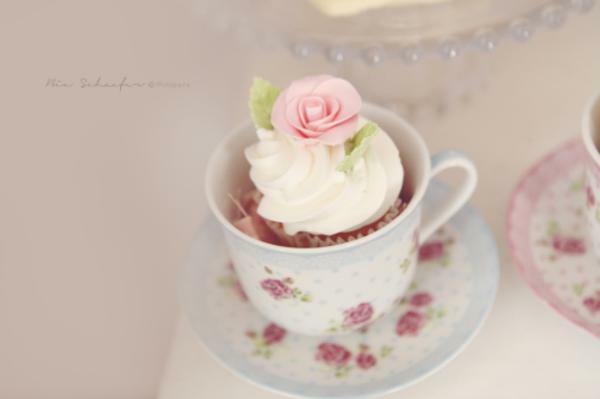 I simply want to say I am very new to blogs and definitely liked your web blog. More than likely I’m likely to bookmark your blog post . You absolutely have beneficial well written articles. Kudos for sharing with us your web-site. 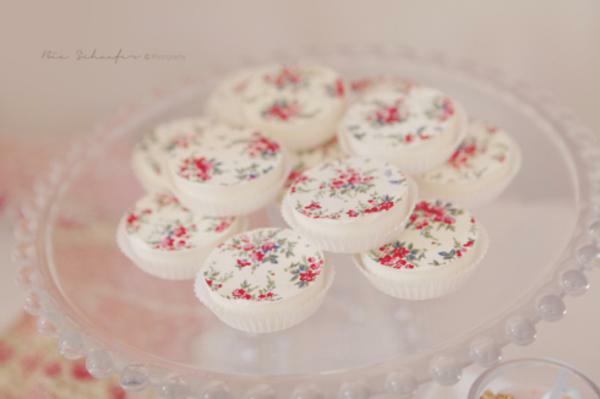 I simply want to say I’m beginner to blogging and really liked you’re blog. Probably I’m going to bookmark your website . You amazingly come with excellent well written articles. Thanks a bunch for sharing with us your blog site. 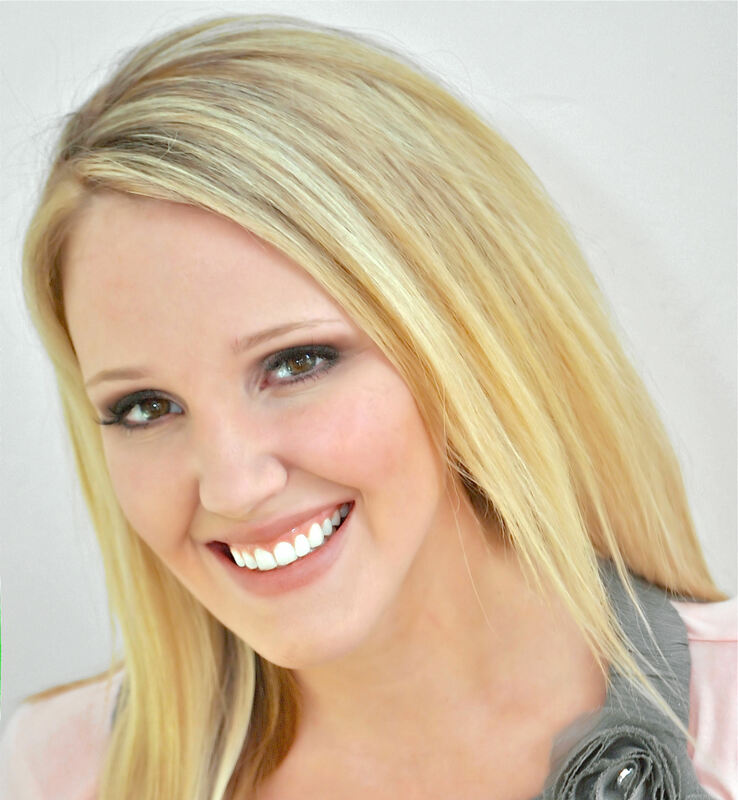 I just want to tell you that I am new to blogs and certainly enjoyed your blog. Likely I’m likely to bookmark your site . You actually come with awesome writings. Cheers for revealing your webpage. Hello there, I discovered your website via Google at the same time as searching for a similar topic, your site got here up, it appears to be like great. I’ve bookmarked it in my google bookmarks.